After a great time at the National Review of Live Art in Glasgow last week (will post up more details / reflections soon), I’m back to it in Bristol, with new performances at BLOP (Bristol Live Open Platform) at Arnolfini this Saturday, and at Spotlight next week. The Arnolfini event is an open platform, with about 65 performances over the weekend, as well as talks and other events (one of which, the launch of Live Art UK’s ‘In Time’ publication, I’m responding at on Sunday morning). 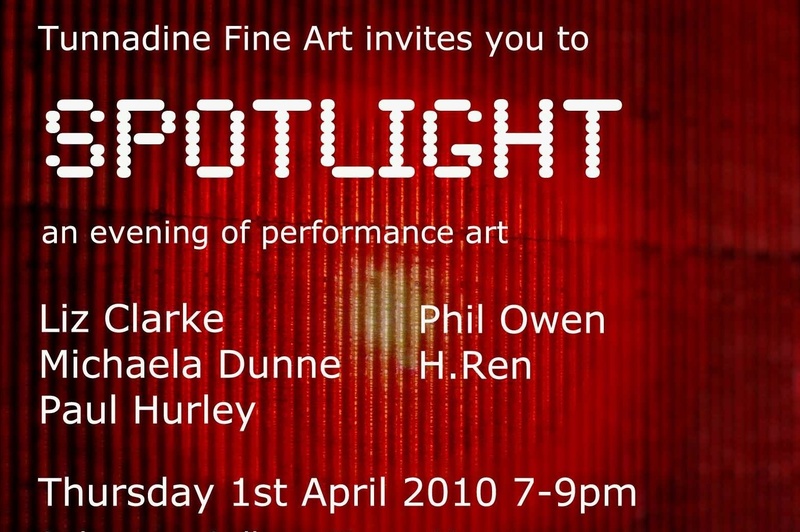 Spotlight is a special evening of performance presented by Tunnadine Fine Art, with four other artists. It’s invitation only, but if you’re interested do email me for details and we’ll see if we can get you on the list.